Our adventure in Spain has begun! 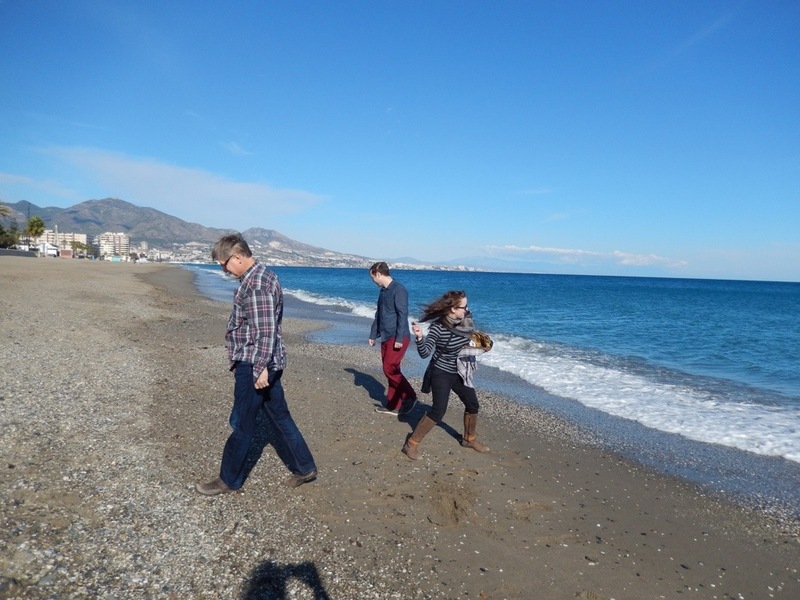 We began on Sunday with a day of rest that included a walk along the Mediterranean Sea, picking up stones and skipping them across the water. It was surreal. I think the walk helped me adjust to the six-hour time difference. The air was clear and crisp and the view amazing. I had no idea that Spain was so mountainous. We meandered the windy roads to a little town called Ronda. There is a cave near there, Cueva de la Pileta, that was discovered in 1905. The cave was a bit treacherous for me, but I braved it. We single filed down slippery stairs following a guide with a flashlight. The four of us we were allotted two lanterns, which turned out to be fine as walking down the narrow, dark stairs was sufficient challenge for me. I was happy to have Bob carry our lantern. 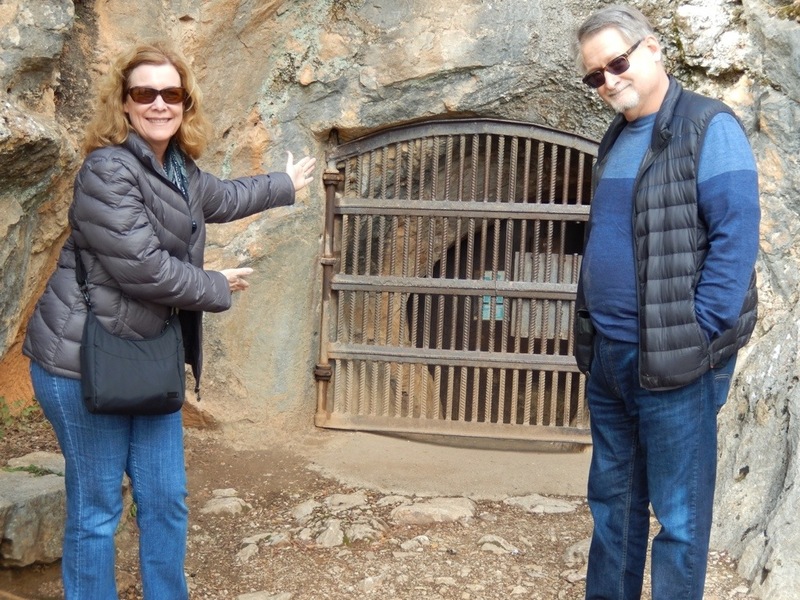 We were not allowed to touch the sides of the cave. I think I unintentionally broke that rule three times while traversing very narrow areas. We found lakes, cave drawings and the remains of what looked like a pottery factory (as you would imagine one thousands of years ago). It was very physical. At one point I felt a bit claustrophobic, even though we were not in a tight space. It is weird knowing that you are underground in a totally dark place. A few deep breathes and I was fine. I did feel a little like an old woman, though, as I took the steps slowly, two feet on each step before taking the next one. None of us fell – success! 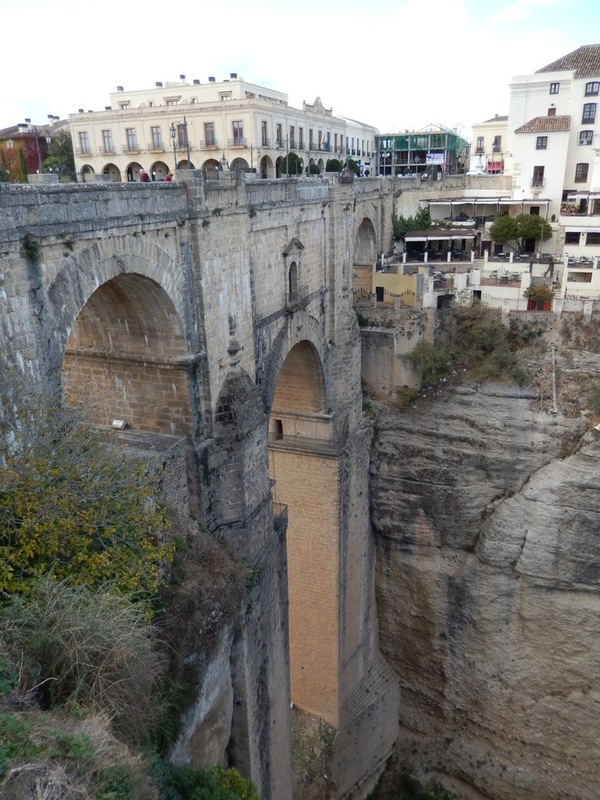 The town of Ronda is famous for its new bridge, which was constructed in 1793 after the old bridge collapsed. It spans a gorgeous gorge and is one of the most picturesque places I have ever been. Love the pictures! That bridge is awesome! Spending time with the Grandfathers makes you more aware of falls doesn’t it… it’s ok, two feet on each step is just fine! Crutches up Joe & Aubyron’s steps in Paris wouldn’t work so well! Yes, footing is an important thing. We’re having a blast. Exciting !! You were very brave Bonnie!! Not sure I would do it! Maybe with a little peer pressure. Thanks, Moggie. I bet you would. Enjoy all that God has made, one breath at a time. That’s the way to do it. We are so blessed.